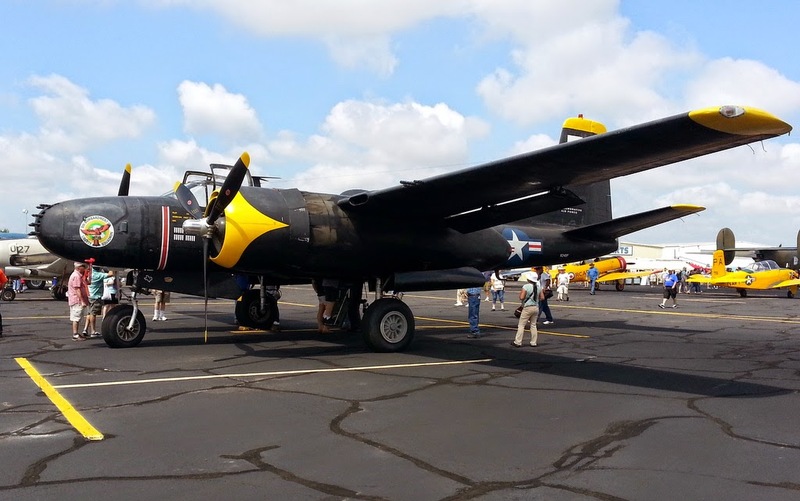 Every Year around Labor Day, Lancaster Airport, the Commemorative Air Force and the Cold War Air Museum open house for the public to come and see rare and unusual aircraft and learn about aviation history. 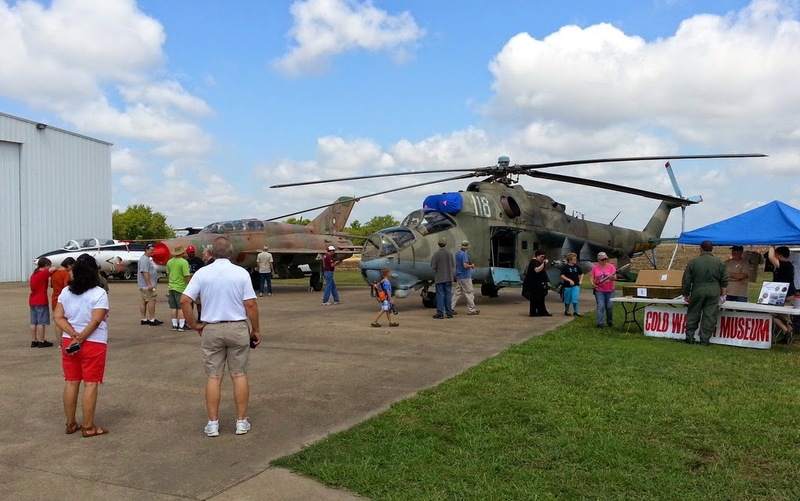 In addition to featured exhibits, static displays and flights of historic aircraft, a new event this year was Cockpit-Fest, USA. Cockpit and Simulator enthusiasts came from as far as California. 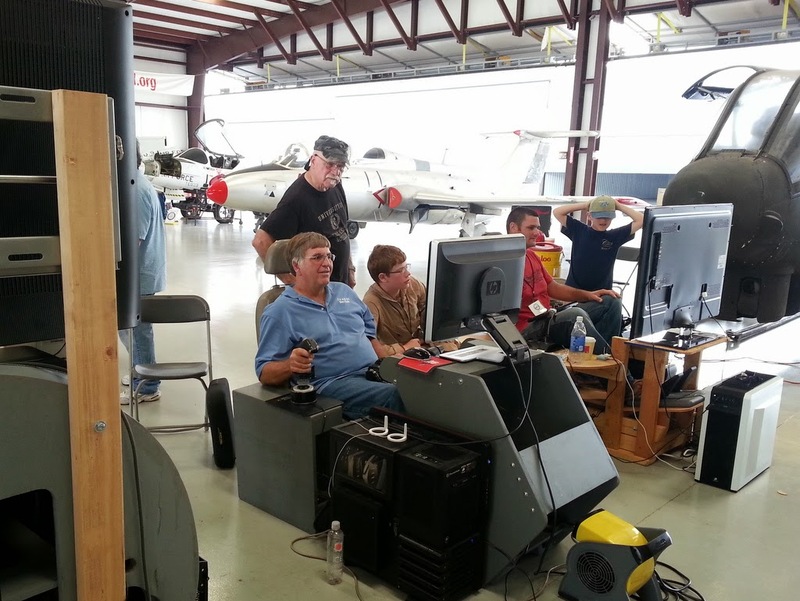 The Cockpit-Fest group enjoyed seeing the aircraft flying and on display, and the public enjoyed seeing the cockpits and trying the sims. The detail work in the cockpits and simulators is amazing. 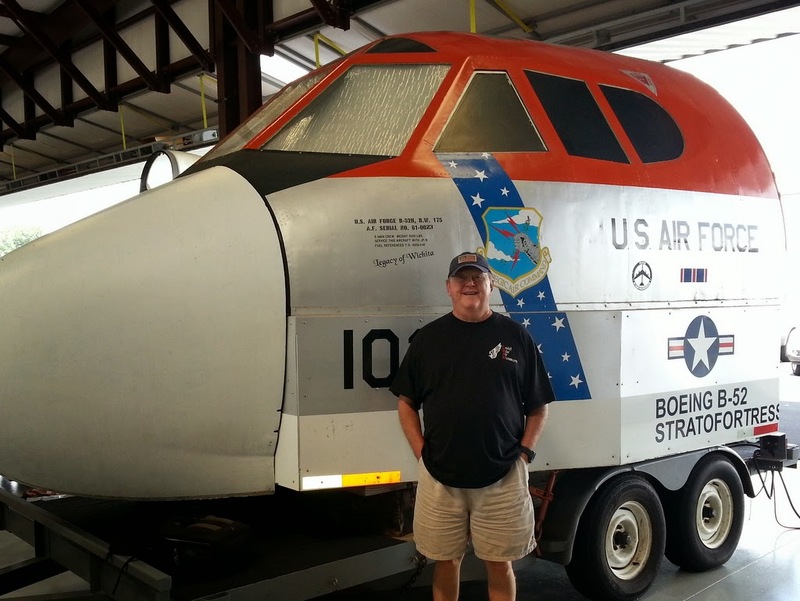 Museum President Phil Davis is pictured below after having made several landings in this B52 cockpit and simulator. 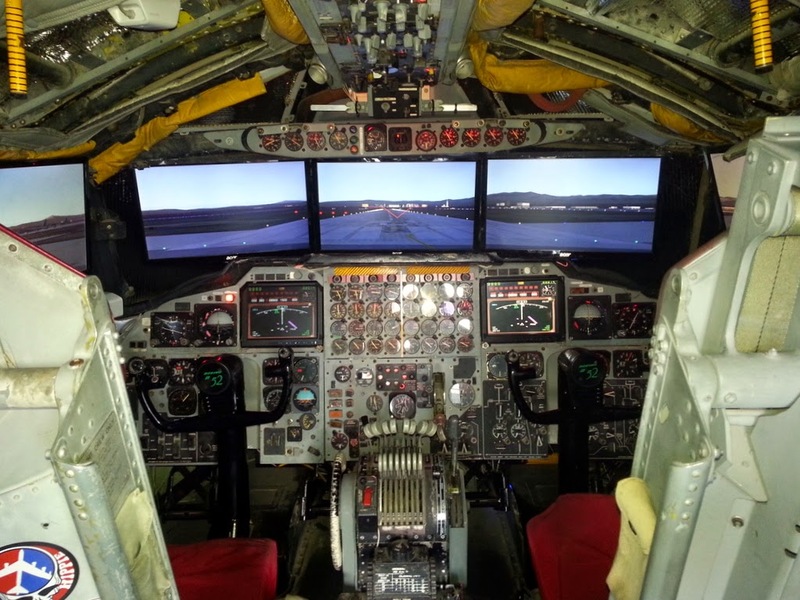 Like many of the other cockpits and simulators, it had outstanding graphics with full computer tie-in to the original flight controls. 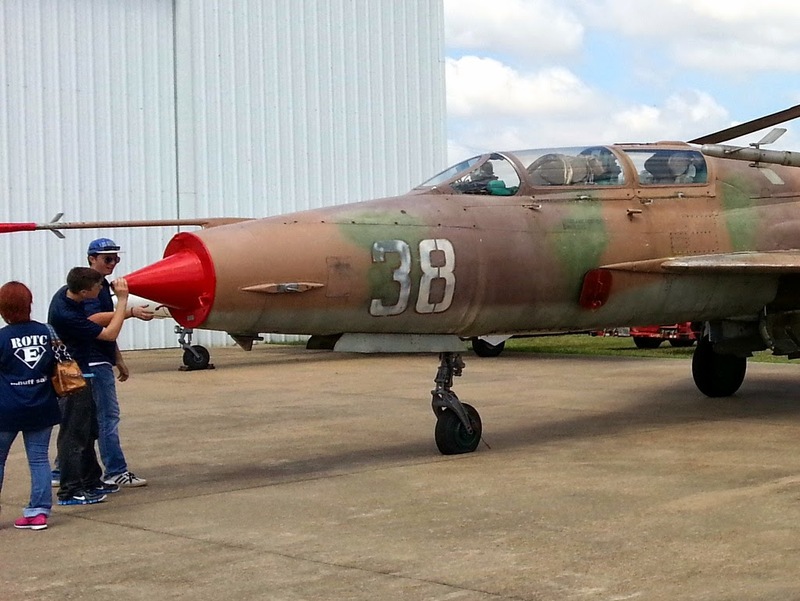 Phil couldn't resist the comment that "it flies like a big Ercoupe". 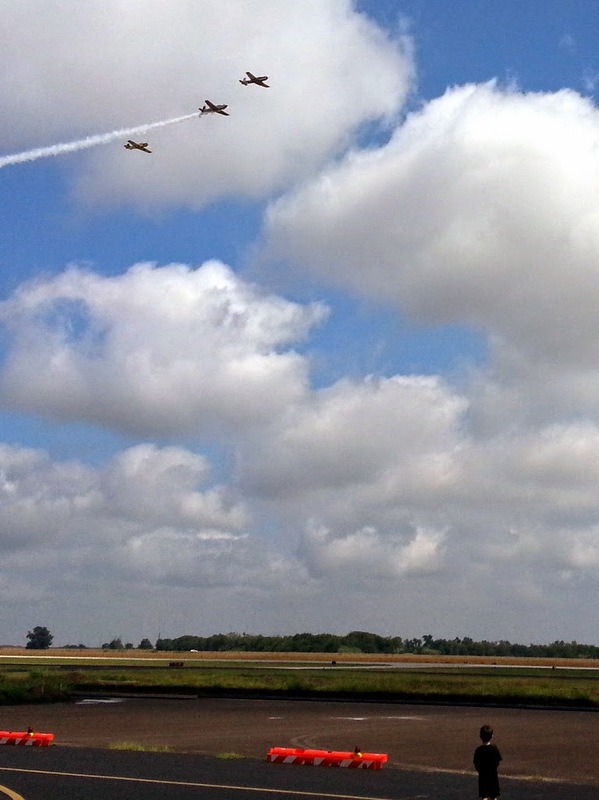 Make that a really, really, big Ercoupe. All set for a Nellis 21-Left departure. 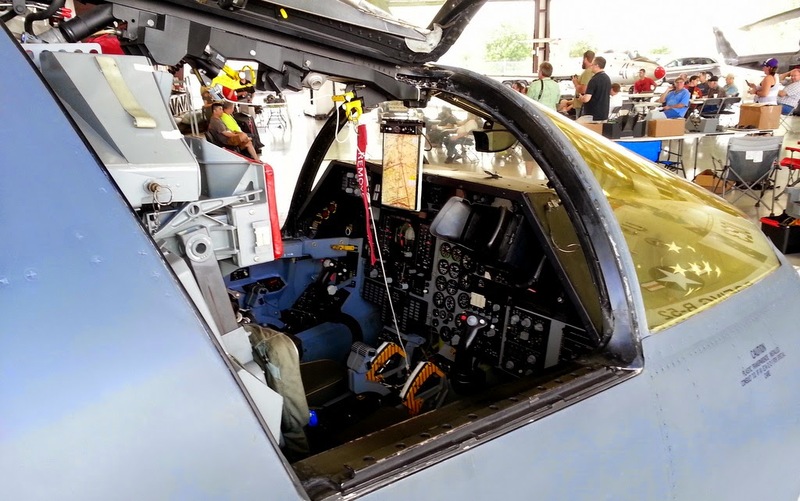 While some of the displays focused on the accuracy and detail of actual cockpits, others focused on development of the supporting electronics. The reader is left to guess which ones had the most comfortable "pilot" seating. 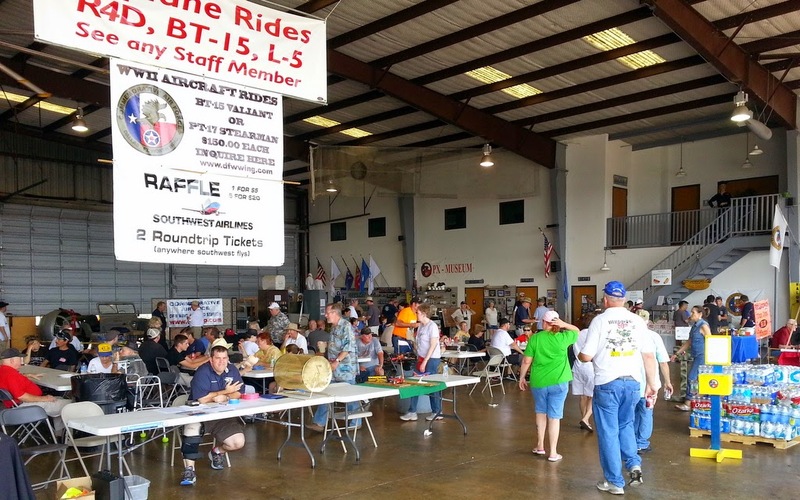 The Cockpit-Fest group gave out awards in various categories. The group seems to be very dynamic and supportive of its members. 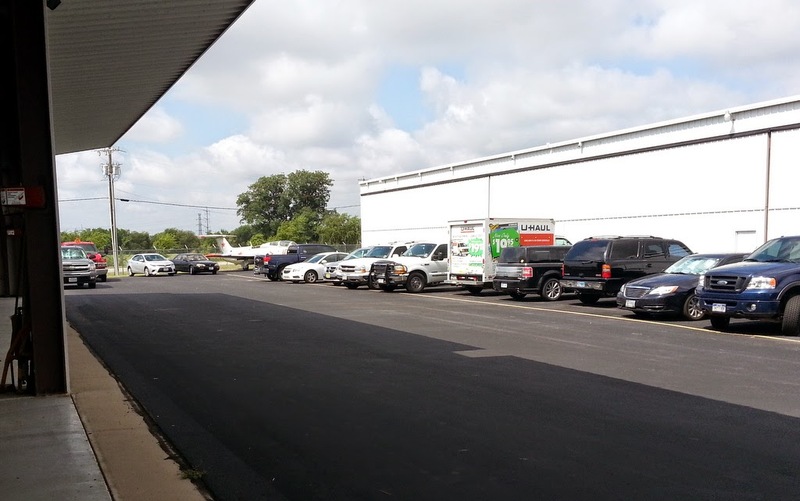 Trailering and transport of these valuable exhibits is no easy task. At the beginning and end of the event many hours were spent setting up and removing the displays and sims. And of course CWAM volunteers had to come early and stay late to move aircraft in and out of Hanger One both for Cockpit-Fest and Warbirds on Parade. With arrangements waiting for the F-15 to be picked up, it seemed only fitting for it to face off with the Mig-21 while spending the night. A successful event for all and hopefully a bigger event for next year. 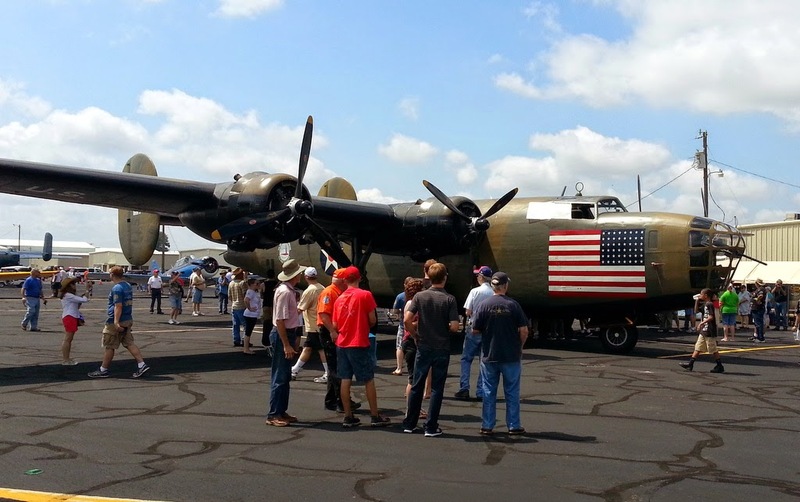 Every Year around Labor Day, Lancaster Airport, the Commemorative Air Force and the Cold War Air Museum open house for the public to learn about aviation history and see historic aircraft both on display and flying. 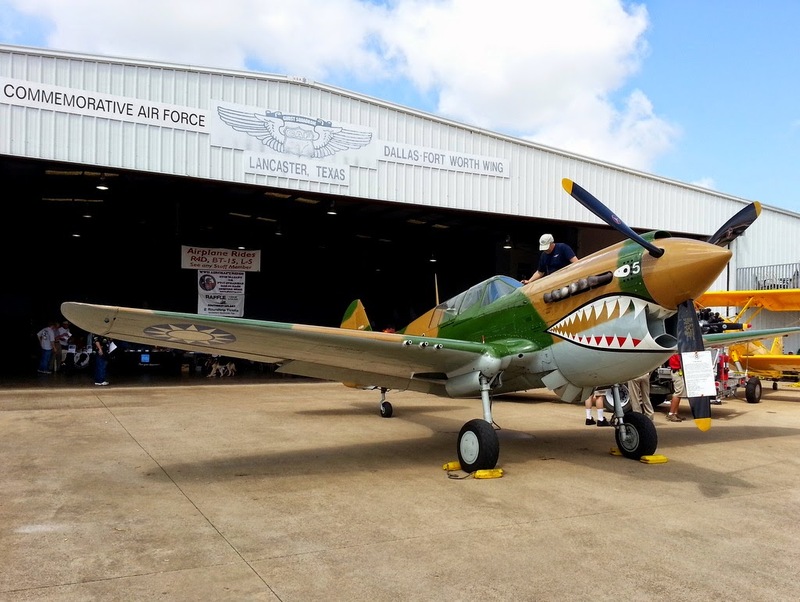 At the North end of the field, the Commemorative Air Force, long established in Texas, brings in many of the finest examples of WWII aircraft remaining in flying condition. Like other historic organizations, the CAF and CWAM now constantly compete with the internet for the hearts and minds of the public. 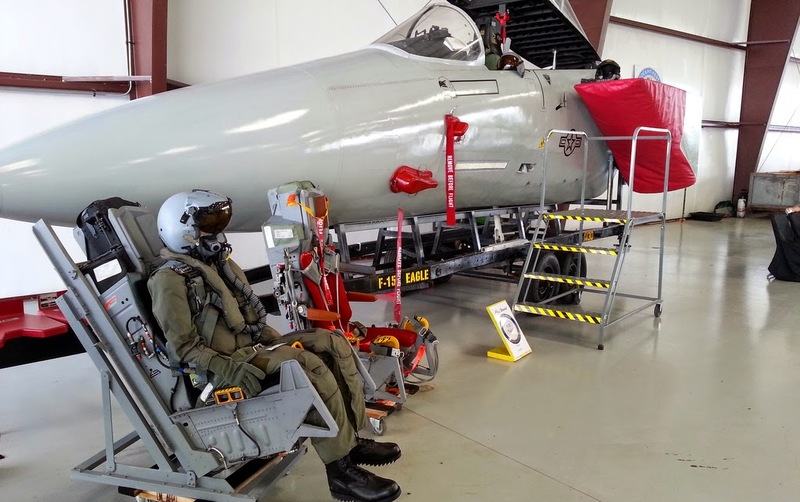 But smart phones and flat screens simply don't compare with the reality of touching and seeing these aircraft in person and talking to the veterans and volunteers that flew them and keep them flying today. 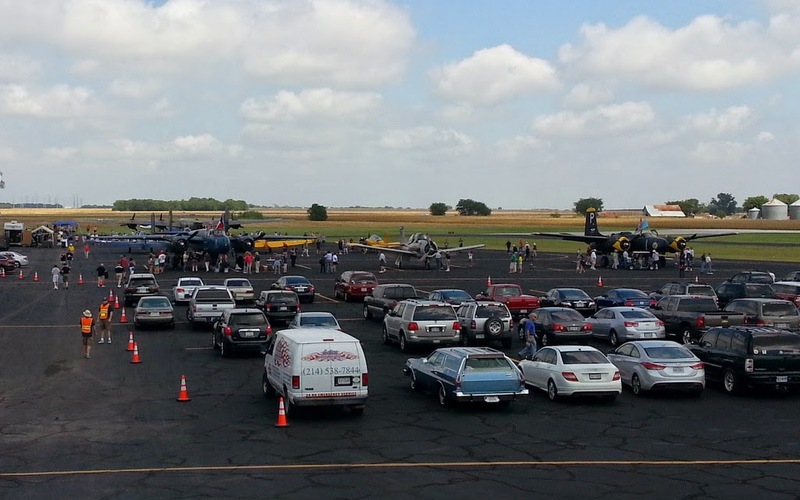 The event started early with aircraft flying in from around the state and volunteers arriving to help, and soon the public began arriving in hopes of beating the heat of the late afternoon Texas sun. The B-24 Liberator was a mainstay in the European Theater. 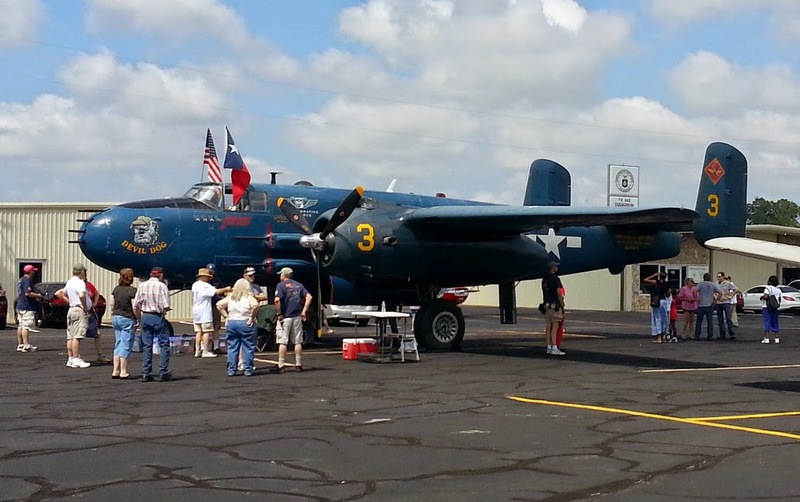 The B-25 saw service in both theaters and achieved fame early in WWII when General Doolittle flew a daring raid with them from an aircraft carrier. The Douglas A-26 Invader also saw war over the Pacific and in the Cold War following. It has also served extensively in the Forestry service as a fire-bomber. 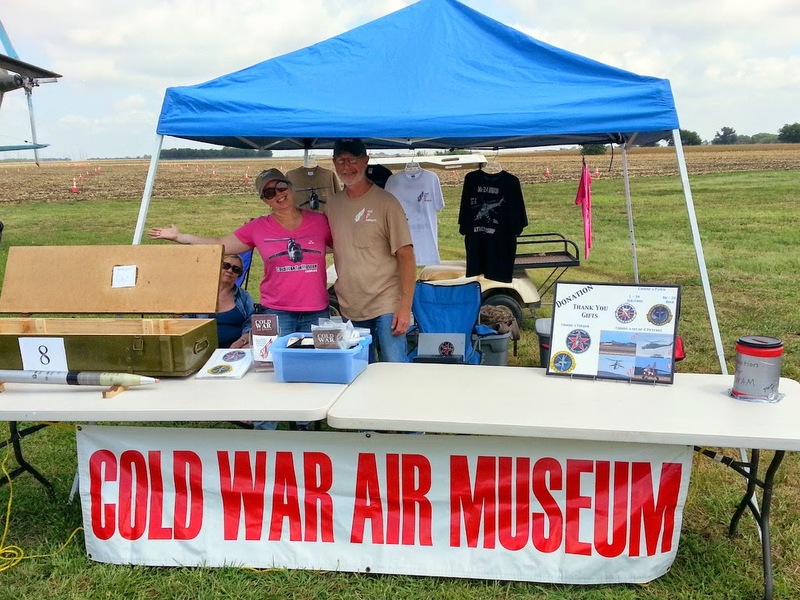 The Cold War Air Museum is also located on the airport at Lancaster. 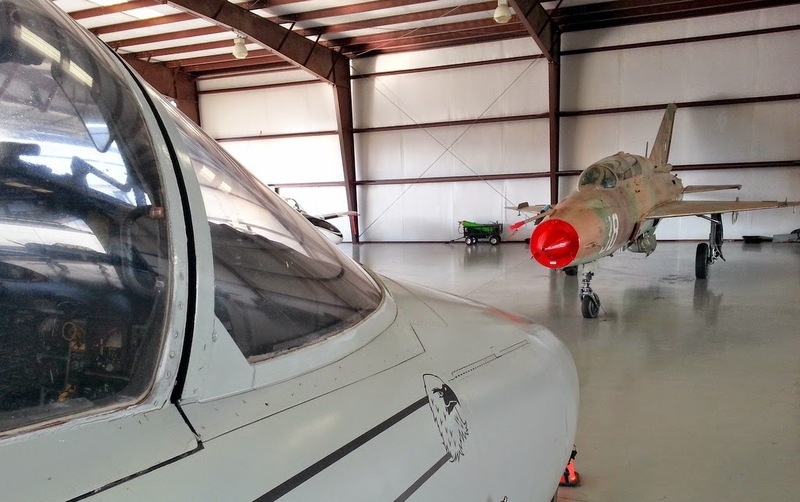 CWAM has many flying and static aircraft from the post-WWII era. The two Museums compliment and coordinate with each other in support of this annual event. The Mig-21, a Russian developed fighter, was extensively deployed during the Cold War era by many countries around the world and is still in use by some today. The museum is thankful to have many fine volunteers working and supporting our events. Many thanks to Tommy and Debbie for their fantastic support! 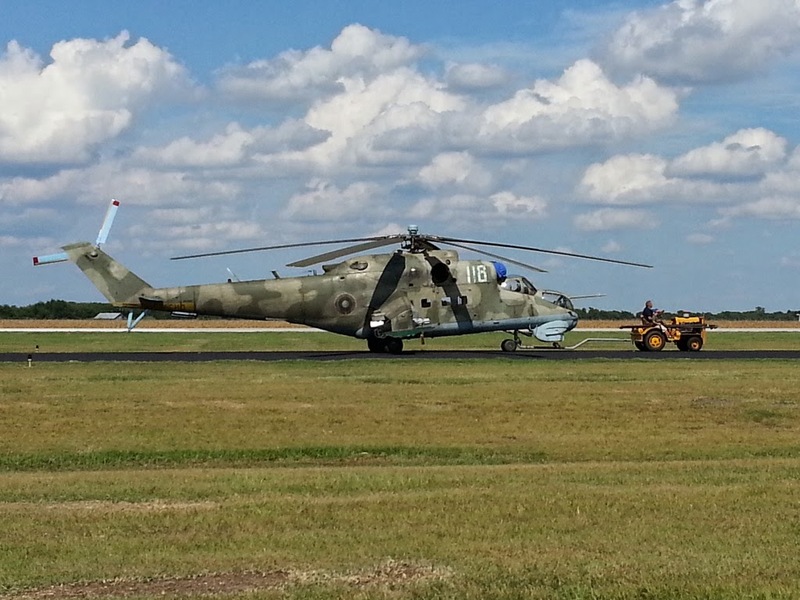 The Mi-24 Hind, another Cold War aircraft, was also extensively deployed by many countries around the world and is still in use today. 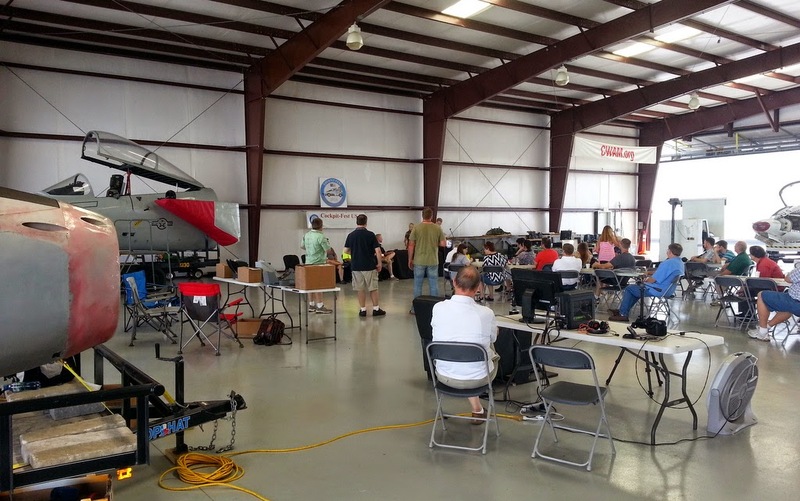 Preparation and relocation of aircraft began well before the event and took until well after the posted hours and we thank the many volunteers and supporters for their efforts and old fashioned dedication. Although fewer people seem to come in person since the advent of the internet, the sights, sounds and smells of in-person reality continue to thrill and excite both young and old. Hopefully this young man is dreaming of a future flying or designing the generations of aircraft to come. For those who couldn't make it this year, we're glad you could join the thousands that share with us by internet, we hope you can visit us in person next year, and please support your local museums!